Biotherapeutic Drainage using the UNDA Numbered Compounds is one of the most effective tools I use with clients. Powerful, yet extremely gentle on the body. Our bodies are innately and constantly striving to preserve balance in the internal environment, or what is referred to as homeostasis. Homeostasis is a state where all components of the body down to the cells are without residual wastes, where the body has a constant supply of alkaline mineral substances, where all vital functions perform in a state of ease, and where all intake of necessary nutrients is perfectly in sync to the body's needs. Disease, or dis-ease, is simply an interruption to some component of homeostasis. Signs and symptoms are our bodies' way of telling us we have an imbalance. If this imbalance is continuous, dysfunction, or compromised physiology, of that organ or system. will occur. We do not need to fear illness, or accept symptoms as a part of aging. Instead, we can listen to what our bodies' are trying to tell us through our symptoms, and support and trust our bodies' drive to restore balance. And this is why I love using Biotherapuetic Drainage with the Unda Numbered Compound Remedies! Physiology always prevails over pathology. 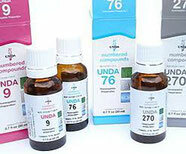 Unda Remedies focus on restoring physiology, not on the dis-ease itself. By doing so pathology is driven out. Pathology cannot co-exist with physiology. The greatest challenge that our physiology faces is the effective management of toxins. Toxins can be physical, mental, or emotional. A toxin is a poison, that is toxic to the body. Toxins can come from outside such as air pollution, herbicides, or heavy metals, and from inside the body as a product of metabolic activities (metabolic waste). These can be inside the cells, or outside the cells. A toxin is usually very unstable and capable of activating an immune system responds (antibodies). 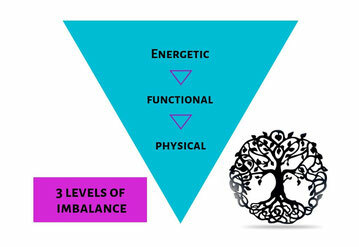 Once imbalance is showing in the body (has moved from the energetic to the functional or physical) it is asking for intervention. Many of us try to do this through dietary and lifestyle changes, herbal cleanses, and supplements. However our efforts might not be enough to reduce the toxic burden , and others might be too much, placing more strain on the person's body. In the media we often hear the word "detoxification" used to describe things that aren't actually detoxification. Detoxification should be defined as the metabolic process by which the toxic and poisonous burden on the body are reduced. It has come to mean the process of clearing, neutralizing or transforming toxins, and clearing excess congestion and mucus. Things like dietary and lifestyle changes that reduce intake of toxins and improve elimination are methods of detoxification. Depuration is defined as to cleanse and purify. This is the term for removing xenobiotics from the body. A Xenobiotic is a chemical compound such as a drug or pesticide that is foreign to the body. Examples of depuration include IV chelation, exercise, massage, vitamin and mineral replacement, and dry sauna. These methods can exceed the body's physiologic limits. An example of exceeding the body's physiological limits is that supplements and herbs require activation of the digestive system and the use of various liver enzymes. If our digestion is compromised (which is usually the case to some degree or another when someone is not well ) these products might not be ideal at this time 9 or on their own) if they are causing the liver or other organs more stress. Another example is if the pathways for drainage are not open and established, herbal cleanses especially those using laxatives can stir up toxins that cannot leave the body efficiently resulting in a healing crisis. Drainage is a physiological action that facilitates the body to eliminate toxins without aggression or forcing the body to eliminate beyond its physiologic limits. Dr. E.A Murray compares drainage to detoxification as "the sum total of therapeutic means available to ensure elimination, through natural channels, of toxins vitiating the organism of a patient requiring treatment." In other words, drainage is process of detoxifying the body by opening the emunctories (pathways for drainage such as liver, kidneys, lungs, colon, skin) and discharging the toxic accumulations from inside and outside the cells to re-create the cellular homodynamic state. The UNDA numbers are designed to do just that! There are over 70 remedies, or numbers as they are referred, each composed of homeopathic dilutions of plants and metals forming a unique energetic complex that include knowledge of miasmatic theory and Chinese medicine. 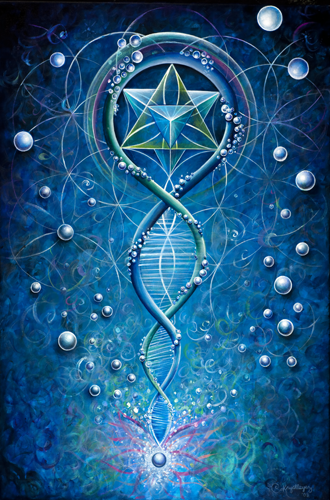 ~ Work deeply at the cellular level to break down toxins small enough to be able to exit the body. ~ Facilitate these toxins towards the appropriate emunctory and out of the body. ~ Bypass the gut, therefore not requiring any metabolism or digestion. ~ Do not interfere with any medication or supplements. ~ Complement and enhance any other means of detoxification or depuration one might be doing, or want to do. ~ Are simple to take. The UNDAS are designed to be used together. While a few can be used on their own, most are designed to work synergistically each other. Fro example, some focus on a specific organ, some support the function of an organ or system, and others the focus on the pathway for drainage (emunctory). My role is to select the appropriate combination of numbers from each of these grouls to target your health concern. These protocols are usually 3 or 4 numbers/bottles. A protocol lasts 3 weeks, with a fourth week to assess and evaluate any and what shifts you experience. If it is appropriate to continue, one or all of your numbers could change for the next month, and so on, as the layers of the onion peel away. Some conditions only need a month protocol such as a spring liver cleanse for someone is good health. Others can be anywhere from 2 months to a year for more chronic conditions. Just about every condition can be supported with the UNDAS! Each UNDA is $20.42 plus tax. Again, typical protocols are 3 or 4 bottles.